This is true for both classes: “Cluster Disk” and “Cluster Shared Volume”. Since we need to report on disk performances and be alerted if something is really going slow, I decided to add the few key elements that we need. Initially I thought this was going to be an easy job, it should have taken about 1 hour of work. In reality, things went a little harder. The cluster disks management pack uses the cluster WMI interface to get what it needs, but those classes just return the disk size and space used counters. 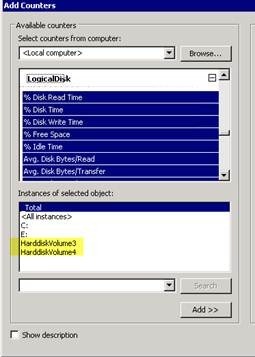 What in WMI is a volume GUID in Perfmon is something like HarddiskVolume<N> and I did not find a reliable correlation key between the two, after a couple of hours of researches I gave up. (If you know such a way please let me know). 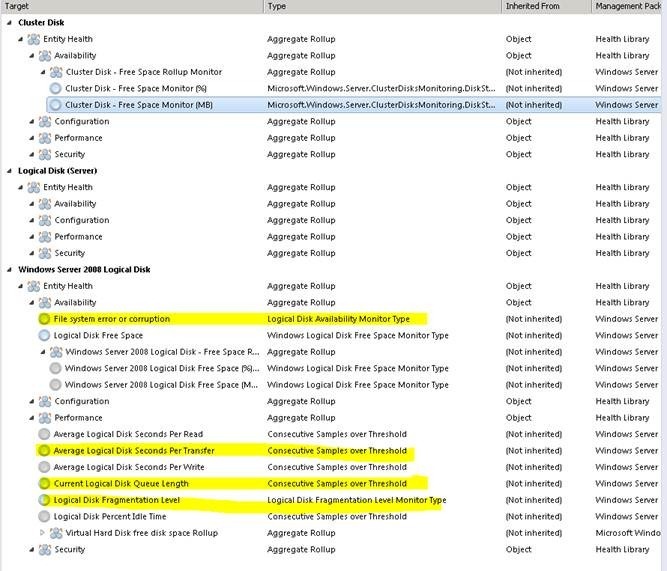 If we consider CSV are just used for VMs we can live using the performance reported by the single VMs, not accurate and suboptimal, hopefully Windows Server 2012 will address this with a meaningful perfom instance name (?). This entry was posted on August 10, 2012, 8:21 am and is filed under MP, MP Development, SCOM. You can follow any responses to this entry through RSS 2.0. You can leave a response, or trackback from your own site. Is this still required with the latest Base OS MP?